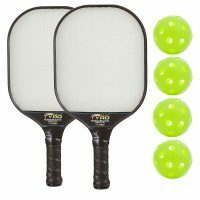 The Champion Graphite Pickleball Paddle by Pickleball Inc. is our most popular paddle. It was one of the original honeycomb paddles and has set the standard for paddle design for several decades. This paddle is perfect for many players and is a true classic. 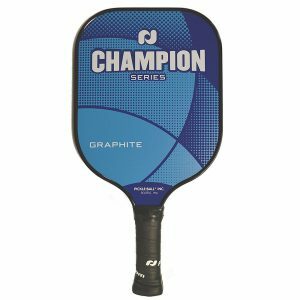 With its ideal face shape, sturdy edge guard and quality construction, you can’t go wrong with a Graphite Champion paddle. The new redesigned version of this paddle now comes in one pleasing grip size. 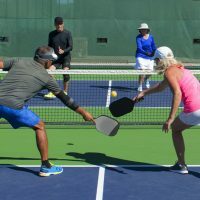 The Champion Graphite Pickleball Paddle now features a lower profile edgeguard providing less chance of mis-hits off the edge. The redesigned graphic is a vibrant solid color, with layers of criss-crossing texture in a matching hue. 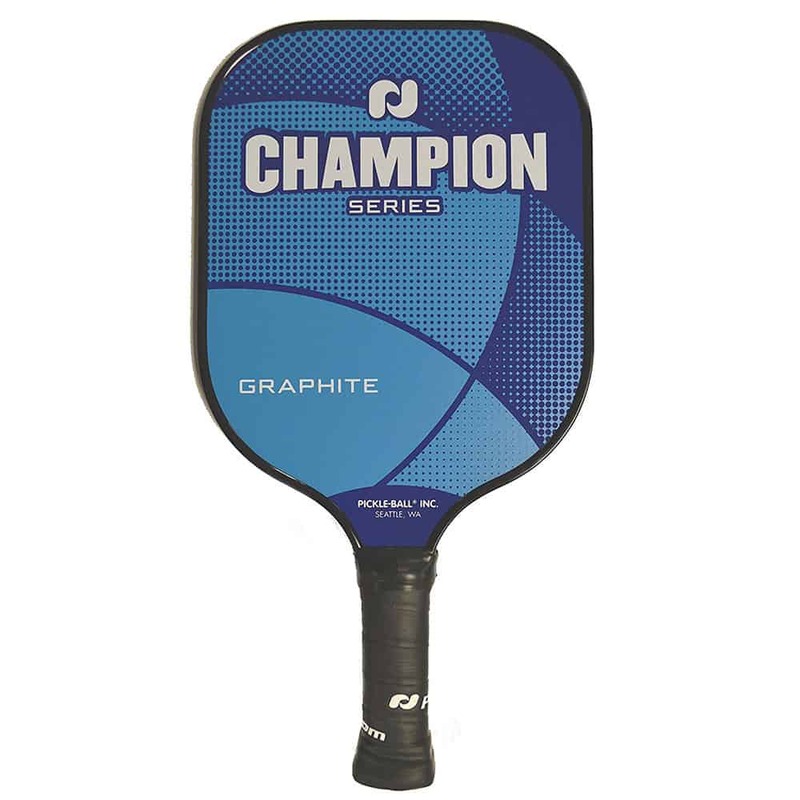 CHAMPION SERIES reads across the top of the face, with “GRAPHITE” located in the lower corner. 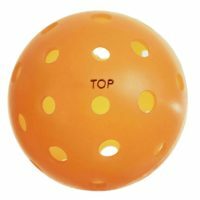 This large 8-1/8” face width gives players lots of hitting surface, which beginners love. 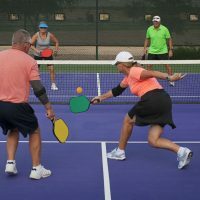 The reviews prove that the Champion Graphite paddle is definitely a winner in the pickleball community. 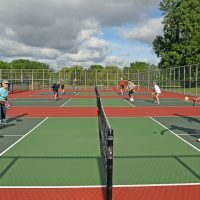 I really have nothing to compare it to since I am new to pickle-ball and this is my very first paddle! I have no complaints… I found the paddle to be very light and the grip to be perfect for me. 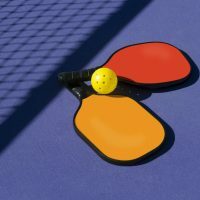 I enjoy playing the game much better now that I have this paddle… I was using the wood paddles provided for us at the rec center. 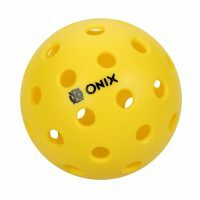 The whole thing to the this game is to keep your eye on the ball. 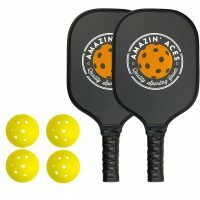 I would recommend this paddle to friends, especially to beginner friends! This is a nice playing paddle and ‘handles’ well. Quality appears to be very good and the price reasonable. 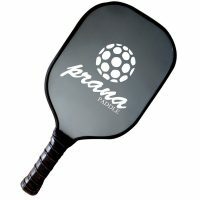 The significant remaining factor to be addressed is how well the paddle holds up with regular and reasonable use. If it meets my expectations I will leave the initial five star rating intact. If not, the review will be down rated accordingly. Outstanding beginner’s lightweight paddle. Product arrived on time and in perfect condition. 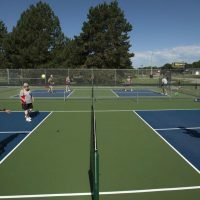 Just a beginner at pickle ball, but it seems to be exactly what I wanted. Company immediately reached out to offer any support, nice touch! I like the apparently good quality, and I make the assumption it will hold up. If it doesn’t, I’ll amend the rating.